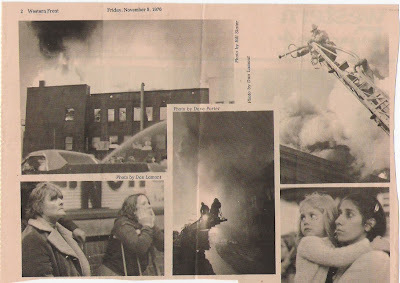 Scroll down for pictures of fire in 1976 Western Front. Top floor burned in the 1970s and has remained vacant ever since. Bottom floor is a tavern. Can you guess which building this is? Leaving my art class at WWSC (now WWU), I saw a massive column of smoke over downtown Bellingham. Running down the hill past my sister's house, I knocked on Judy's door. She came running also, toward the fire. Western Front newspaper, November 1976. Watching from across the street, we got there just as the roof was caving in and a fireball rose to the sky. Then, Judy started walking back home and I wondered why she was leaving the drama. She said she just remembered leaving her front door wide open as she ran from the house. Went back to shut the door. I stayed till smoke turned to hissing steam. Now the embers long cooled, that place sits quietly as downtown Bellingham scurries around it. 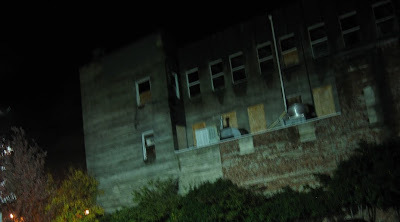 Few pay attention to those upper floors that are like a carcass left over from that violent event. Bellingham fire department has a coffee table book of local fires with a picture of this fire also. Precursor to Internet, Oct 29 1969. This was not Arpanet (probably) or me. From my early 1970s high school annual. A teletype at Pullman High School connected to the Washington State University computer that was across town. Notice the rotary dial for phone connection. Back then, I thought computers were just for mathematicians. Pictured is a math whiz who's name I forgot, but I think I remember he'd moved to Pullman from Orofino, Idaho. Yep, I got a TV. Haven't had one since the late 1980s when I needed a TV as a monitor for my Comadore 64 computer. Might as well have one. It's "footprint" is small. 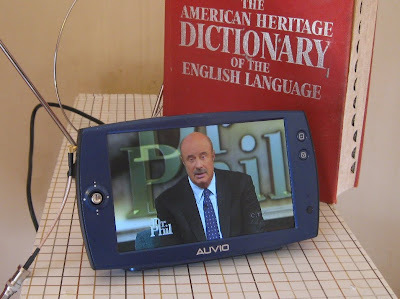 With pocket TVs, and entire record collections fitting in an Ipod, one can be homeless and still have their "home entertainment system" in a backpack. And the cost. Only $200, but this was on sale for $169. When I was a child in the mid 1960s, our first color TV was in the neighborhood of $400! That was 1960s dollars. They've sure come down in price. Back then, the whole house and yard was around $25,000, so the TV was a big chunk of the price of making a home. Now days, houses are in the half million dollar neighborhood depending on where you live and products? They're so cheap they're practically throwaway by comparison. Just think how many TVs a retailer must sell to pay the rent these days. It's insane. Can't let the grass grow under your wheels. Well, what about watching the TV, after all, that's what it's for. Is there anything to watch? I'm not on cable. My computer is connected to DSL through the phone line. In Bellingham, on air channels are limited. There's channel 12 where I could watch COPS, if I wanted to. Also, it looks like Dr. Phil and some other things. There's KBCB; the shopping channel. Two commercial Channels out of Vancouver BC as well. All in high resolution digital. There's still some analog TV out of Vancouver as well. Canada hasn't totally converted yet. With a bit of snow (remember that stuff on a TV screen) I can get TV in Punjabi and TV in French. The CBC is nice, but it's really snowy. I'll have to plan a trip to Galbraith Mountain. It's our local mountain biker's paradise. Why? Not for the trail rides, but a trip up the logging road just to see what more TV channels I can get out of Seattle and Vancouver. Channels from the top of Galbraith Mountain. No, I don't plan to spend much time watching TV, but what the hell, it was way less than most people pay for one month's rent. My post for Blog Action Day 09 topic of climate change. Paradise Trail along Paradise Creek in Moscow, ID. and it was Paradise. 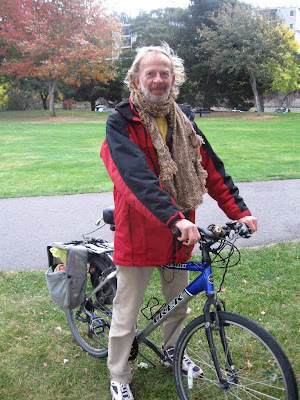 My 09 bicycle tour was lots of fun. Feels good bicycling and staying healthy. 1,300 miles in 31 days. Glad I get lots of time off work. Vacation is possibly the best thing about my job. 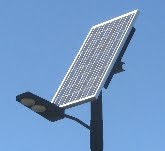 The technology of solar power and the less "rat race" form of travel. For protecting the earth, what more could one ask for. 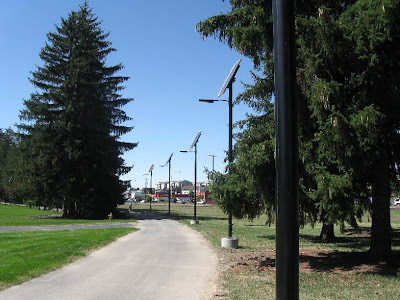 Technology can help us reduce the carbon footprint. Years ago, I couldn't have brought a computer with me on my bicycle. Too heavy and bulky. Now there's several types of computers that can fit easy in the pannier. Computer for WIFI stops. Brings more variety when all one can carry is what fits on a bike, or possibly a bike and trailer. Microelectronics: Also makes it easier to live in a small dwelling year round. Who needs a big house or sprawling residential area. Nice to be "child free" also. Percent of population raising family could diminish thus allowing a more livable world for the lower number of children. A world of less rat race where progress is measured in quality of life and technological advance rather than total amount of material consumption. A less obese world in many ways. Yesterday was Columbus Day, but many say Christopher Columbus exploited native peoples. Explorers of past were often plunderers after the gold, many were warriors, capitalists and empire builders. Today's explorers could be a different lot. Astronomers, for instance. Astronomers, quietly exploring the universe. Some of them sitting in faculty offices at universities applying for time on research telescopes. 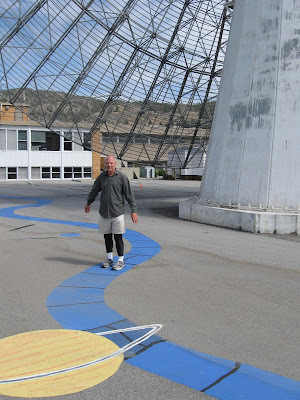 Image at right: I'm exploring around Penticton Radio Observatory during my 2009 bike tour. Many of today's explorers are writing grant proposals, cooperating with scientists all over the world, dealing with NASA, learning how to navigate vast bureaucracies. Not necessarily planting their flag on the lands of native people's and claiming territory for Spain or Great Britain. Some of them are helping students and patiently sitting through faculty meetings if they are at university settings. Not seeking a lot of gold from Inca tribes even though some astronomers may have fairly high salaries. Most of them are likely to be writing articles and attending conferences, not blazing trails with shotguns. 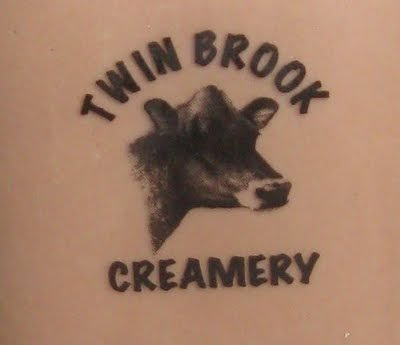 They often donate money to the United Way, their local NPR station and the food bank. They spend time at libraries, think through puzzles, sit in front of computers. At times they might even listen to harpsichord music. Maybe today, they're a bit on the yuppie side, but explorers of today seem kinder and gentler than many of past centuries. A friend of mine named Haggrid held this sign at a protest for health care reform. I held the camera. Yes, single payer would reduce the morass of contradictory claim forms that have to be waded through. I hear maybe 20 percent of doctor staff is there just to deal with the forms. There's always a side effect to any change, however. What will happen to all those form handlers? Could they be employed doing something else? 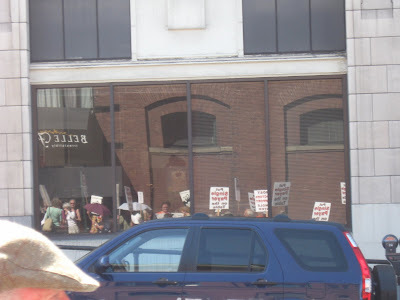 Some march signs reflected in windows of Bellingham Herald Building as marchers walked up Chestnut Street. Many signs said, "put single payer on the table." Yes, that would reduce much of the convoluted complexity of contradicting insurance forms that patients and doctors must wade through now. I think single payer could be very good, but even if it doesn't happen, something needs to be done. 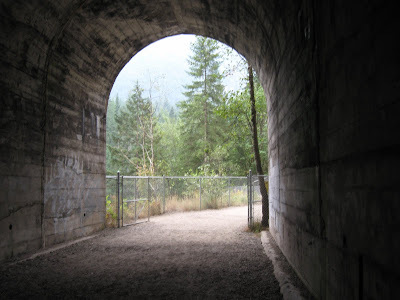 At Othello Tunnels near Hope, BC. Trip included a short walk to Saturn.